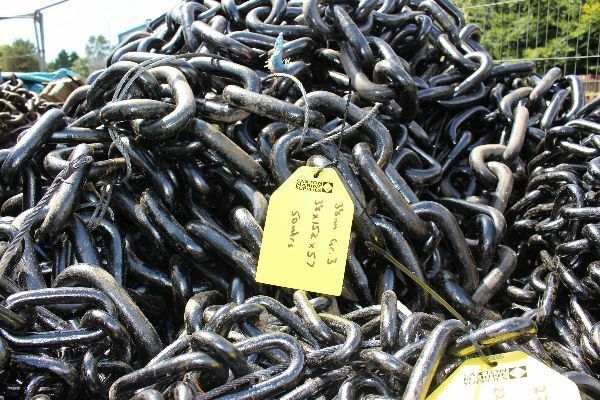 We carry the full range of mooring chains including open link chain, new and second hand chains, which are adaptable to many uses including the off shore industry. The complete mooring set up is catered for with the sinker, bottom chain and middle shackles along with the top chain connecting to the buoy. This top chain requires regular checking and replacement due to its small diameter. 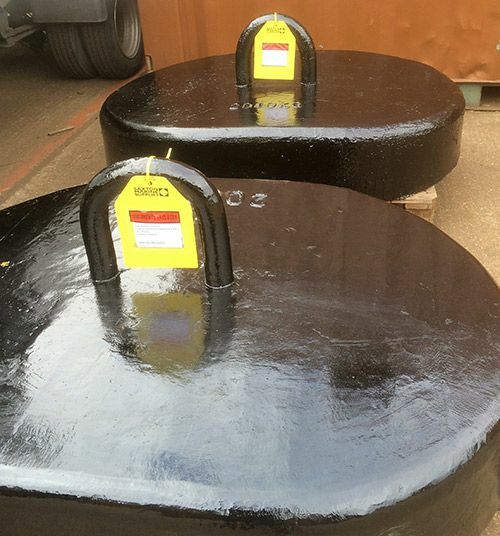 Long life span marine sinkers supplied with mooring bottom shackle as standard. Cast iron sinkers are supplied in various weights and have an extended life span. Copyright (c) 2019 Saxton Marine.